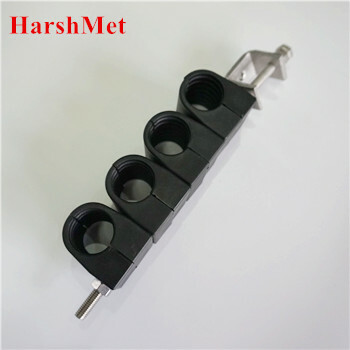 HarshMet offers various cables clamps and hangers for fixing and installing RF cables, fiber cables and power cables in a reliable way to meet your specific requirements in broadcast and wireless communication networks. 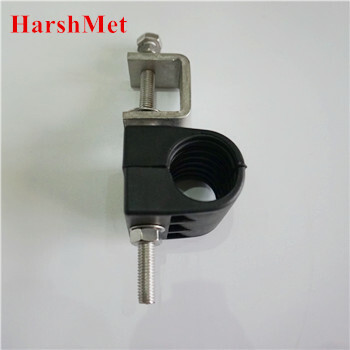 Product line: Feeder clamp/feeder cable clamp. Specification: See below (Customize available). 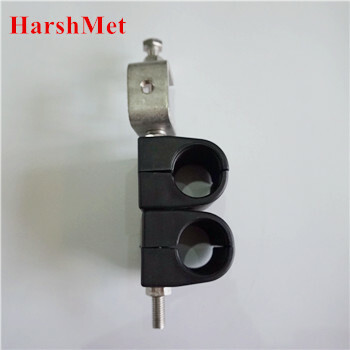 Clamp Material: Fiberglass reinforced PP/ABS, Black. 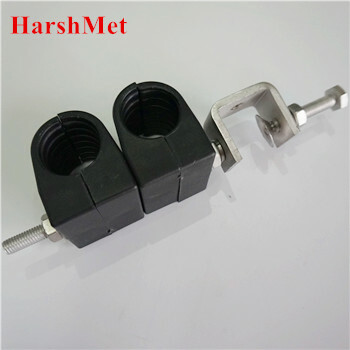 Parts Included: Angle adapter, plastic clamp, threaded rod, nuts and washers. UV-resistance: ≥1000 hours exposure in accelerated UV life chamber.